Emil Carlsen : Self portrait, ca.1920. Inscribed / signed front: Unsigned with estate stamp on verso stretcher. Marking type: White horizontal rectangular exhibition label, unknown exhibition. Location: Verso top middle stretcher, stapled. Text: ‘[all typewritten] TITLE: SELF PORTRAIT / MEDIUM: OIL ON CANVAS / COLLECTION: PRIVATE / NFS [in pencil handwritten small in lower left corner]’. Marking type: Ink stamped gallery information. Location: Verso bottom middle stretcher. 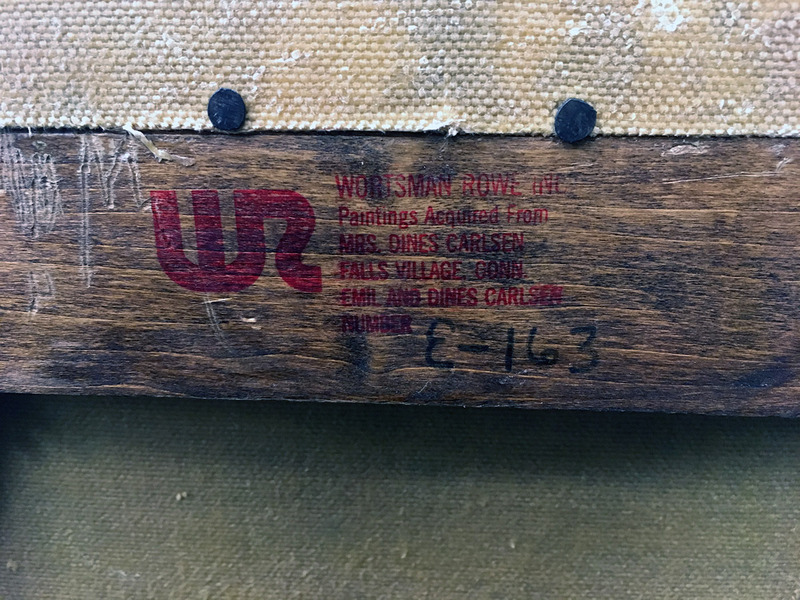 Text: ‘[stylized logo at left, stamped] WR / WORTSMAN ROWE NYC / Paintings Acquired From / MRS. DINES CARLSEN / FALLS VILLAGE CONN. / EMIL AND DINES CARLSEN / NUMBER / E-163 [hand written in black felt maker]’. 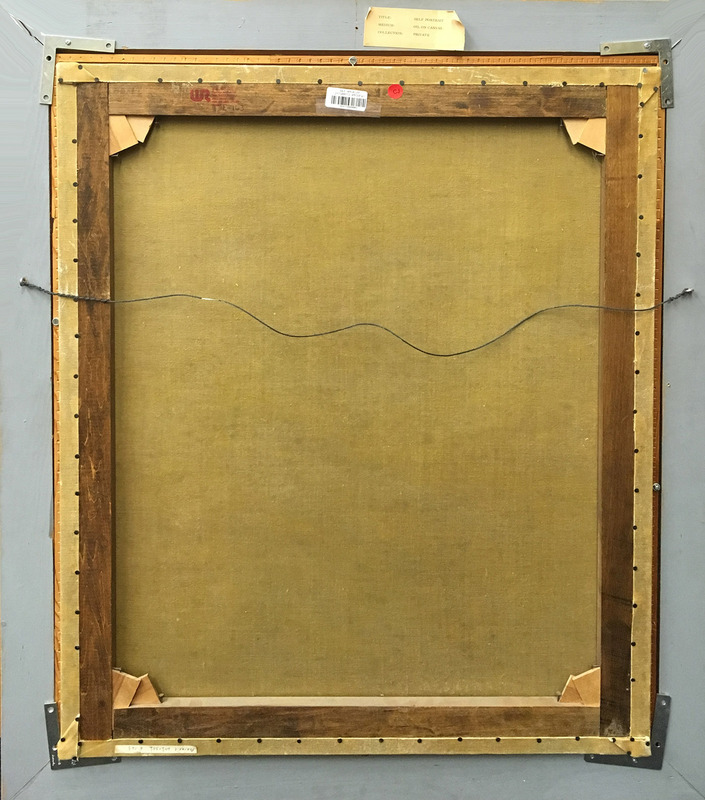 2018 Bonhams [1793- ], New York, NY, “American Art”, November 19. – Bonhams [1793- ], New York, NY, online auction catalog, “American art”, November 19, 2018, lot #[tba], illustrated: color. – Rubicon-Wortsman Pub., San Francisco, CA, exhibition catalog, ”The art of Emil Carlsen 1853-1932”, 1975, #6 and cover, illustrated: b&w. – Sent images and information direct from Bonhams via email id#DB7PR10MB2297B8DA1BFC13D05DFD1889F1050@DB7PR10MB2297.EURPRD10.PROD.OUTLOOK.COM on Monday, September 10, 2018 at 5:21 PM. – As a studio artist, Emil Carlsen, would, on occasion, create copies of his works, repaint a work in another medium, or make variations of a composition from his original color studies and trace paper transfer contour drawings. Only a handful of trace paper drawings are known to exist by the artist, one a portrait of his son, Dines, ca.1930. Carlsen’s wife, Luella, requested that her husband make copies of family portraits for “Mrs. Carlsen’s collection” based on notes by the artist to his gallery, ca.1919. Carlsen created at least two variations of a portrait of his son, Dines in ca.1922—around the same year as the painting Self portrait [version 1], ca.1920—several versions or copies of Dines in 1912, another two portraits of his son, Dines, and wife, Luella, together in 1912, two versions of a portrait of Luella, in 1912, and two versions of his son Dines in 1930. 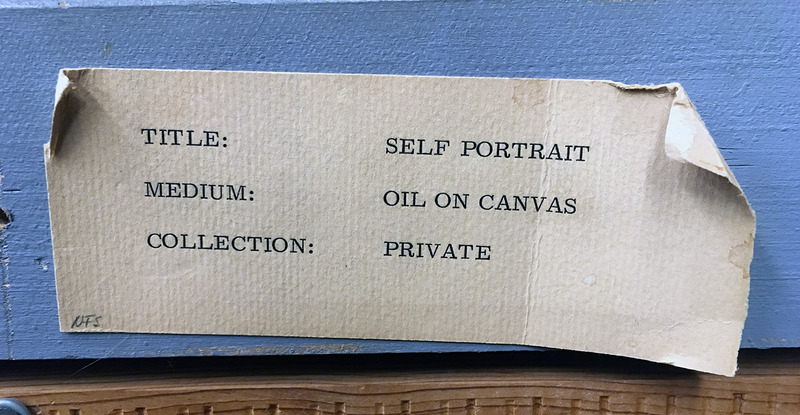 The painting Self portrait [version 1], ca.1920 is likely an earlier version of the the painting, Self-portrait [version 2], ca.1920, owned by the National Portrait Gallery in Washington, D.C. The work in the NPG is a stiffer and more formal version of the composition. Carlsen’s earlier studies, versions and sketches all demonstrate a freer, looser feel across all genre and it stands to reason that this version is most likely the precursor to the NPG version. Carlsen painted only about seven self-portraits during his lifetime in a career that produced about 1,800 works or less than 1%.